You only get what you pay for the cynics tell us, so is spending a vast amount of cash on your holiday destination the only way you can be guaranteed a good time, and if you don’t, are you going to be miserable on a shoestring or less? In particular, is Norfolk typical of such a destination? 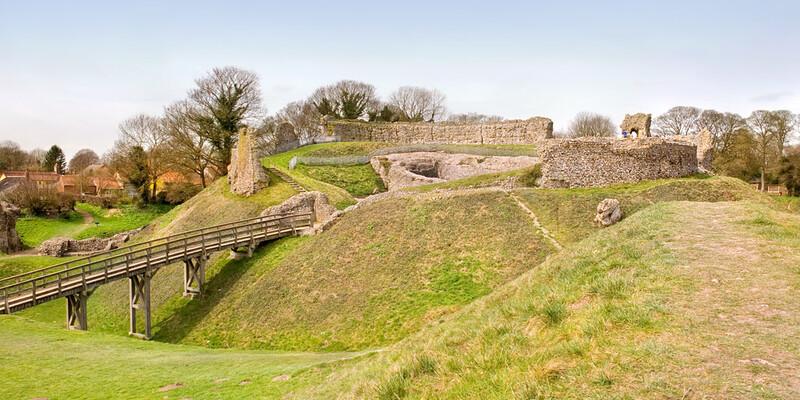 There are lots of options available when it comes to finding free things to do in Norfolk. Norfolk, is a busy, sophisticated county in many ways, combining commercial success with a rich cultural history. It also boasts more than its fair share of retail outlets and money guzzling opportunities, which fuel its lucrative tourism business. But if you dig a little deeper you discover that, at its core, Norfolk has a deeply charitable soul, offering some its best features and experiences for free. Ask anybody brought up in Norfolk about their best memories of holidays spent in the county, the chances are those memories will involve the Norfolk landscape in some way, whether its carefree days spent playing on a beach as a child, learning to sail on the pits at Morston or Snettisham, navigating the tricky channels at Brancaster Staithe in a small dinghy, or crabbing at Blakeney or Cromer. And this is as it should be, as Norfolk’s identity lies deep in its unique coastline and rolling (not always flat!) countryside. So where is this Norfolk and is there a price attached to it? Let’s start with your feet and set them along Peddars Way – although it’s not obligatory to complete all forty three miles of it… This Roman road runs from Suffolk up to Holme-next-the-Sea, where it joins the Norfolk Coastal Path as it runs from Hunstanton to Cromer, and on its way encompasses the full range of Norfolk countryside, from the Brecks (a unique area of forest, heath and low river valleys), to rolling open farmland, low cliffs, extensive sandy beaches, dunes and fabulous salt marshes. The variety and splendour of the countryside is there, laid out in front of you, and not a toll in sight. Or how about walking along Cromer’s cliff’s from where there is a spectacular view of the lighthouse, pier and out to sea? Or from Wells beach to Holkham, through the woods? There is a vast network of footpaths which cross and recross the county, and many resources which can help you make the most of them and see Norfolk at its best. And whilst on the subject of Norfolk and its landscape, you can enter the ongoing debate on what should be included in the top five beaches in Norfolk for free. Will it include the obvious candidates such as Holkham and Brancaster (wonderful, but expensive to park), or Cromer with its cliffs, surf (sometimes!) pier, beach huts and much more, or Hunstanton with its own wreck and stripy fossil-rich cliffs , or Sidestrand, Sea Palling or maybe Winterton? The list goes on, the debate rages, but it is essential to see for yourself what evokes such strong feelings for this hundred mile stretch of diverse and beautiful coastline . As one local said ‘the Norfolk coast feeds my soul in a way that I almost can’t explain’. Try standing at Gun Hill facing Scolt Head Island having walked Burnham Overy’s flood defence bank to the sea, and you might get an idea of what he means – the view is free but beyond price. Who needs a theme park, when you have a beach? 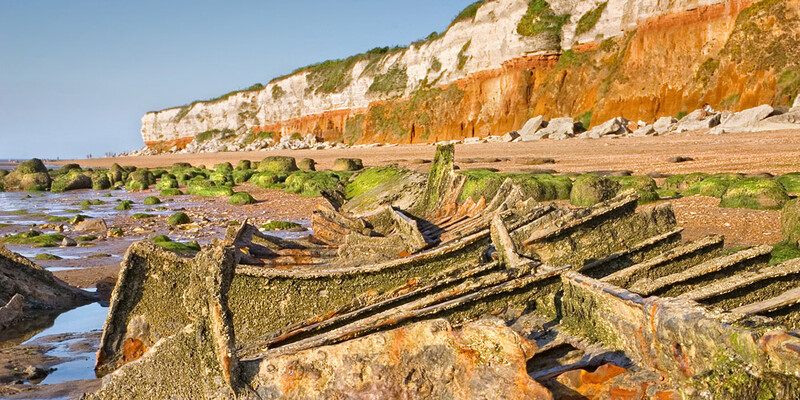 The rock pools at West Runton have kept children occupied for generations, and the locals have never recovered from the discovery of the remains of a prehistoric mammoth on the same beach, which is still fossil-rich and attracts would-be paleantologists of all ages. What gets washed up on our beaches is everybody’s business and exploring this potential treasure is an exciting and absorbing pastime, and of course, sandcastle building has always been something of a national passion – how elaborate can you make yours?. Whilst you’re in the midst of sand construction, look out for seals in the relatively shallow waters, or maybe a dolphin or porpoise – the real Seaworld is within a few hundred yards of the beach! You may also want to try the local activity of ‘gillying’ – dangling a piece of line over the edge of a quay, strung with the bait of your choice, with the aim of catching as many crabs as possible. Best locations for gillying include Wells-next-the-Sea and Blakeney. (It’s not free, but fish and chips on the quayside after a hard day’s gillying at both towns is also highly recommended). If you’re in Cromer or Sheringham with small children you may want to steer them away from retail temptation towards the free boating lakes. With a little ingenuity, and the cunning use of plastic cups and other materials which are close at hand, I am reliably informed that potential naval commanders can make their own crafts and spend a happy hour sailing their own Armadas. When the seas have been conquered, take to the air with a kite – those sea breezes come at no extra cost! Or watch the boats bring in the crab and lobster catch – something which has been happening since the first settlers arrived in the area. The beach may be a free playground, but inland Norfolk is equally rich in ‘free’ opportunities. Quite literally there are wonderful free childrens’ adventure playgrounds available in many villages – Harpley and Blakeney for example are particularly notable, which also have nearby parking. Glandford and Castle Acre are Norfolk villages well known for their fords – ample opportunity for picnics, exploration of river life, feeding ducks and general low-level, water –based activity for those with young children; and for those who resent paying large entrance fees to heritage ruins, visit the castle remains at Castle Acre or Baconsthorpe Castle near Holt, take a picnic and drink in the atmosphere in their beautiful rural settings. If art is an interest, you have only to look at the free sculpture trails at Sandringham and Salthouse, and more local artists are showcased at the Belfy Art Centre in Overstrand. During the early summer artists in Norfolk open their studios to the general public, and all are welcome to drop in, view the work and chat to the artist in question – not something you get to do walking down Bond Street! During the summer particularly, Norfolk towns and local craftsmen and businesses are showcased in sixteen diverse festivals and carnivals throughout the county, which offer free events and entertainment. For example, The Cromer and Sheringham Crab & Lobster Festival in May offers a heady mixture of food, art, music, entertainment and heritage, and the Potty Morris Festival in Sheringham is a coming together of twenty Morris sides from around the county who literally dance in the streets. The carnivals at Cromer, Sheringham, Wells and Mundesley give spectacle and fun for all the family – all you have to do is wander through the streets of these towns and experience the sights and sounds! Further inland, in Norwich, entry to the renowned Sainsbury Centre’s permanent exhibitions is free and afterwards you can stroll through the nearby Earlham Park and picnic by the River Yare whilst enjoying the extensive wildlife. 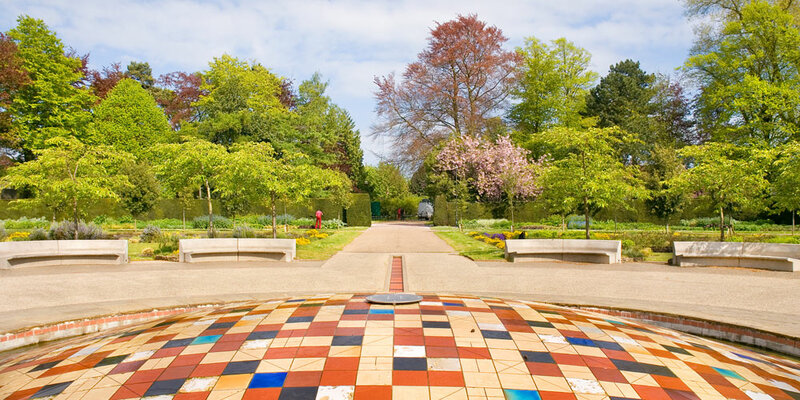 Norwich is blessed with green spaces, the largest of which is Eaton Park, which has over eighty acres of public space, including cycle tracks, tennis and netball courts, bowling and croquet greens, model boating lake and an impressive pavilion. All at your disposal and without charge! If you are lucky enough to be in Norfolk during the Heritage Open Days in September (12th-15th) there are 208 free events – including open buildings, guided tours and walks, exhibitions and performances – across Norwich, Thetford, South Norfolk, Broadland, Great Yarmouth and further afield, celebrating fantastic architecture and culture by offering free access to events and interesting properties that are usually closed to the public or normally charge for admission. And don’t forget the Norwich Festival in May each year, which always features numerous exciting free shows and events. The fine city of Norwich is renowned, not only for its eclectic cultural events, but also for its architectural features, which range from the striking modern glass-fronted library building at the Forum, to the medieval Cathedral and its surrounding buildings, which are still used today by the Norwich School, and the imposing Castle, which dominates the city. Just walking around central Norwich is to take a trip through history. The Norfolk open roads beckon (as does the National Cycle Network), and if you only have two wheels, so much the better – there’s no mountains here and cycling is something in which the whole family can participate. It’s also a great way to see Norfolk ‘up close’ and there are plentiful suggestions for cycling routes –http://www.norfolkcoastaonb.org.uk/pages/pspage.php?PageID=388 is just one website which offers suggestions on cycle loops which encompass the best of Norfolk scenery, or look up which sections of the Peddar’s Way are cycle-friendly. For the more ambitious, one of the many alternatives is a 40 mile loop taking in Aylsham, Sheringham, Cromer, Mundesley and North Walsham. Some of the stately homes in Norfolk offer cycling trails around their parkland – Holkham, Blickling and Sheringham Halls, for example which have proved to be very popular. On the subject of stately homes – Norfolk is packed full of architectural, historical gems, but it can be expensive to look round them. However, as an alternative, most houses offer parkland walks for free or at most for the cost of parking – Felbrigg Hall, Blickling Hall and Sandringham are particularly popular, and why not try Mannington Hall or Wolterton Hall, which are sometimes forgotten in the excitement of Holkham and Houghton, but offer a glimpse into the county’s history and are nestled in beautiful Norfolk countryside? So, for a county which boasts a royal residence, thriving rural industries, rich cultural heritage, numerous arts festivals, sophisticated dining and some of the most striking landscapes and biggest skies in the country, Norfolk, it seems, is a county which welcomes all and can be enjoyed and celebrated by anybody, regardless of the depth of their pockets. 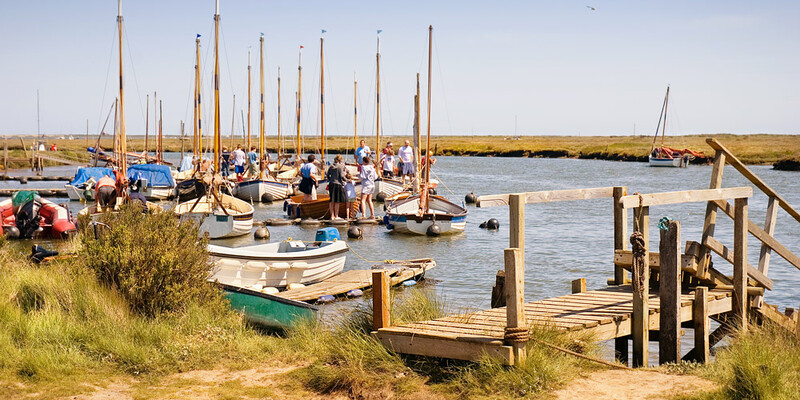 Free things to do in Norfolk was written by Tessa Gregorie, from Kett Country Cottages.